Home / Comic Book Crossover • Jim / Comic Book Crossover! When Superheroes Interact With Real Life Heroes! Plus New Comics! 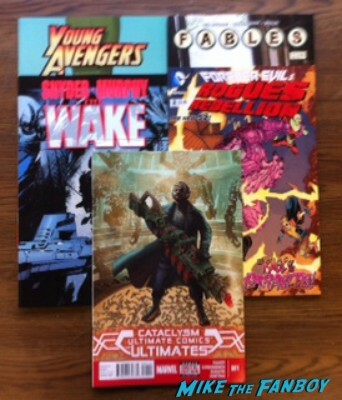 Marvel’s Cataclysm Ultimate Comics Ultimates! Comic Book Crossover! When Superheroes Interact With Real Life Heroes! Plus New Comics! Marvel’s Cataclysm Ultimate Comics Ultimates! 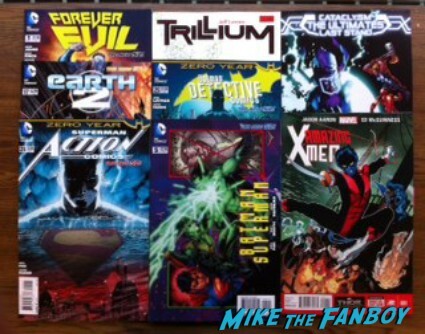 For this weeks Comic Book Crossover, Jim is taking a look back at what makes Comic Books and pop culture in general. 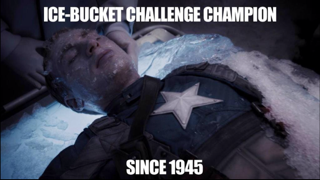 Too many times things get dismissed, but especially in times of crisis it’s in our pop culture heroes we seek solace. Jim is taking a look at our pop culture heroes and how they interact with actual real life events! Welcome back Comic Book Aficionados! Today marks the 50th anniversary of one of Americas darkest days, the assassination of President John F. Kennedy. 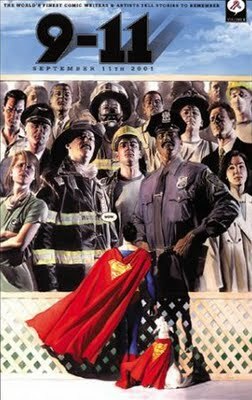 It’s one of those days that the older generation remembers by asking “where were you when JFK died”, for me and my peers it’s 9/11, but dealing with the comic book world how do you step away from the fantasy to address the problems of the world especially when you have all-powerful characters flying overhead. 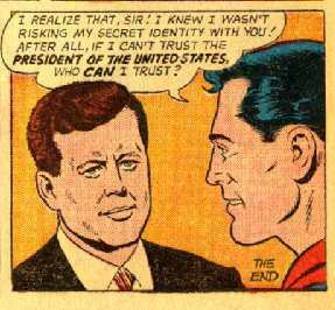 From time to time DC and Marvel have done just that and in doing so helped folks understand that not even an all-powerful alien can change the course of history. 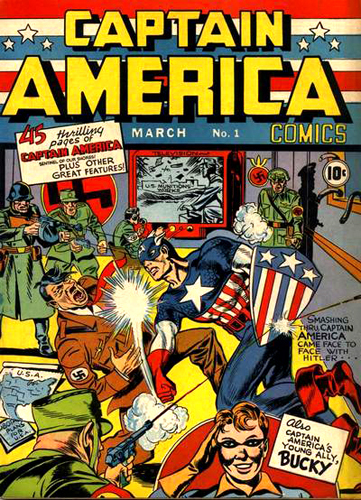 In the 1940’s you had Captain America knocking out Hitler on the cover his very first comic but yet he never won the war single-handedly or took away from the sacrifice of our soldiers. This was the key to bringing together the fantasy with reality. 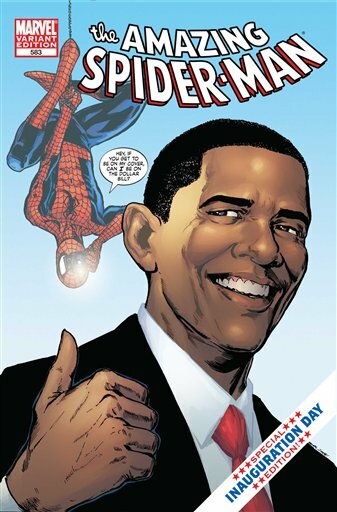 Later on you had superheroes working with Presidents like Superman and JFK, the Comedian and Nixon or more recently Spiderman and Obama. By having these characters take part in our world it’s allowed the reader to feel their beloved characters are human and have limits that sometimes when something terrible happens they wouldn’t be there to save the day but they will be there to help with what comes next. Like the comics that came out shortly after 9/11. These were fantastic stories that had our heroes working side by side with the NYPD and FDNY. This form of storytelling has been how comic book companies have been able to give back and help in the healing process. Now as for new comics this week, well it was a fairly light week. I only picked up 5 new books and spent less than $15 at the comic shop, which is awesome for the wallet. 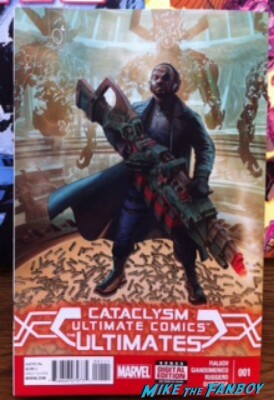 Since it was a light week there’s only 1 new book that I’ll label my pick of the week and that’s Marvel Ultimate’s Ultimate Cataclysm #1 came out. I love the Ultimate universe for no other reason than it gave us a Nick Fury that looked like Samuel L. Jackson about 5 years before he was cast in the role. Now as we get near the end of this fun Universe all i can ask is will this new version of Nick Fury make it into Marvel Universe Prime? I hope so but I guess only time will tell. Comic Book Crossover! FOX’s Gotham Leaked Pilot! Superman of Earth-2! Ultimates! And More! Comic Book Crossover! Jim Talks Amell Wednesday & The Tomorrow People! Plus This Weeks New Releases Including Velvet!